These days we have been enjoying the cherry blossoms here in Kyoto, and spring has finally come. 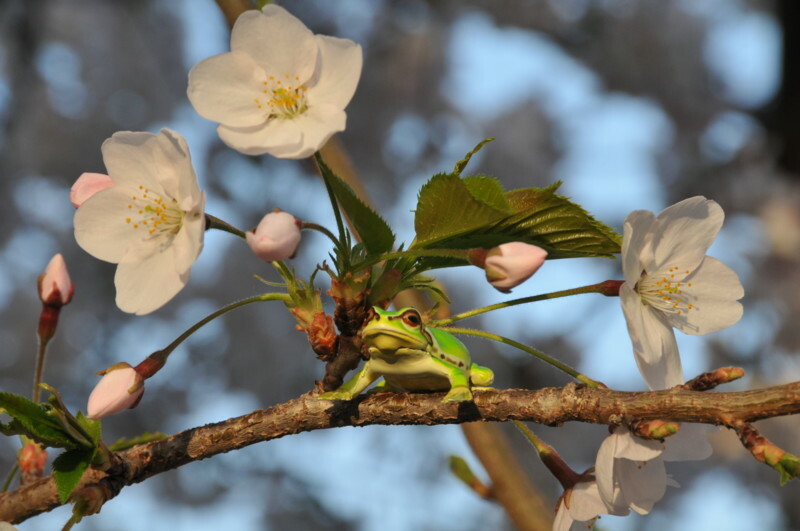 The first week of April in Japan is a time for new beginnings -- the school year starts for students, and many people begin new jobs. We hope that you are enjoying April in your part of the world! Last week's topic "Rabbits" was a great success, and we enjoyed watching all of the amazing Flipnotes that were posted. If you haven't yet posted a animation about the weekly topic, please give it a try. 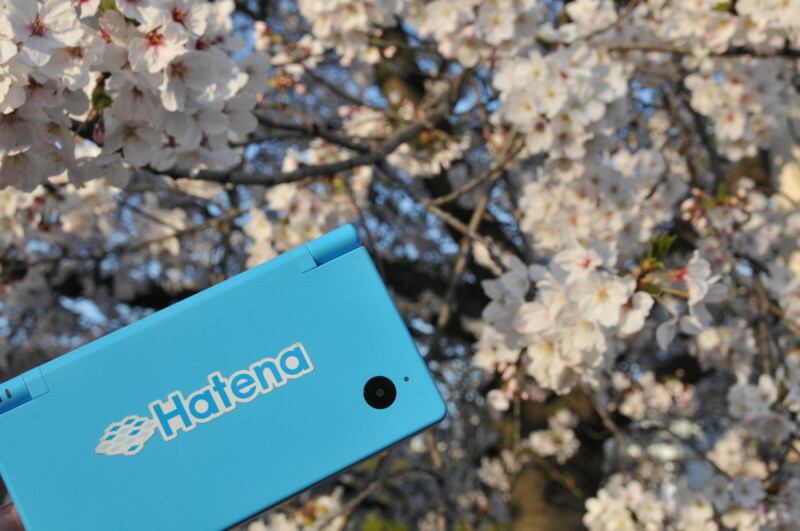 There are still 57 days left for us to enjoy Flipnote Hatena together! ★ Procchi (id:ProTein) from Japan posted this amazing Flipnote about a rabbit-eared character running through a real life scene. The best of the last week's topic: "Rabbits"
There were over 1,050 Flipnotes posted about last week's topic, and here are some of our favorites from around the world. ★ Enjoy some magic with amazing rabbits in this animation by Najat.T.S (id:gold69). ★ Who will get the carrot in this funny rabbit Flipnote by Hallelu (id:Cacaduck)? ★ A woman finds a surprise in her garden in this cute story by doodler=!! (id:naruandpokefan). ★ Check out the cute movements of the rabbit in this Flipnote by GazzyNinja (id:thegass). ★ We liked the original soundtrack and nice story in this animation by StickGuy94 (id:Sonic94XL). ★ Put your finger on your Nintendo DSi screen to enjoy this animation by Blossom19 (id:Blossom19). ★ We enjoyed this nicely drawn animation about a claw game by ×TâsFïìàä× (id:toffee11). ★ A rabbit discovers a yummy meal in this cute Flipnote by Robles (id:robles). ★ Where have all the carrots gone in this funny animation by Camil (id:Lamia-28)? 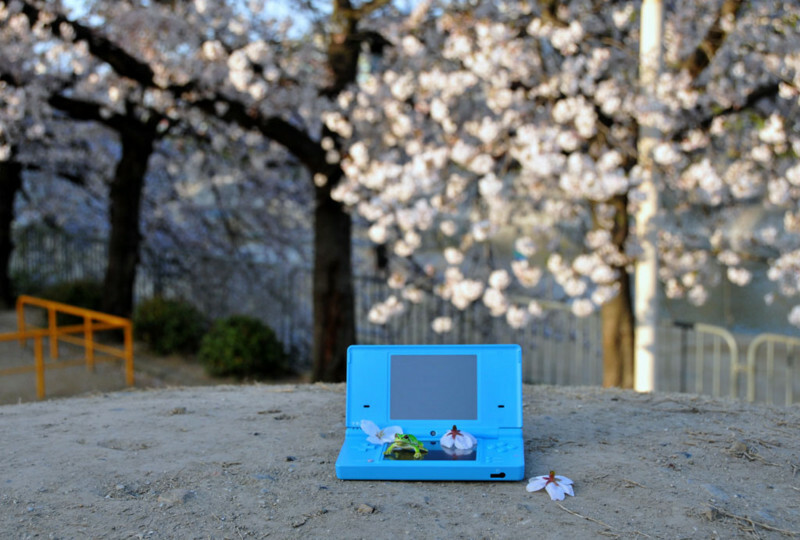 ★ Rabbits have an encounter with a predator in this Flipnote by Odd★Spring (id:Rodney2010). ★ A hungry snake is lurking in this rabbit animation by Mery (id:DewottC2000). ★ A sneaky rabbit looks for something to eat in this nicely drawn Flipnote by Diamond (id:Sapphire1357). ★ A rabbit transforms into a human and makes some rice cakes in this Flipnote by Junjun (id:junkun123). ★ Something funny happens during a hot day at a amusement park in this animation by Tako Death (id:rabbit_thankyou). ★ Tears come to life in this cute rabbit animation by Pichu. ★ A strange transformation takes place in this surreal animation by Puppet Master (id:nyaozow). ★ Rabbits need to keep an eye on where they are going in this Flipnote by Kondou Yuuki (id:hanakorin). ★ A rabbit and a frog go clothes shopping in this funny story by Johnny 3 (id:a3735963). This week we would like you to create animations that are about bones. Animate things like skeletons, dogs chewing on bones, or x-ray machines. Teach how to keep your bones healthy, or make stories about people discovering buried dinosaur bones. See where your creativity takes you! Please submit your weekly topic Flipnotes by 9:00 PM on April 11, 2013 (Thursday) US Pacific Time, and we will present some of our favorites on April 12, 2013 (Friday).